With some 200 exhibitions held annually with artists stretching from Living National Treasures to rising young talents, this historical gallery is a place where art always has and always will continue to flourish. Over the past decade, and specifically after the successful bid of the 2020 Olympic and Paralympic Games was announced back in 2013, Tokyo suddenly came to the realization that it needs to boost its art and culture assets to make the city more international while also answering the needs of its growing educated art population. As a result, today we have designated governmental organizations supporting young talents to promote Japanese art, street art projects and art festivals across the city, and every new shopping complex has its own art display (think Ginza Six and Magnet by Shibuya 109, to name just a few). But one place in central Tokyo looks at those sudden trends slightly puzzled, but more so proud, as it has been doing this for over 100 years, based on the principle that art is a natural attribute to our lives. 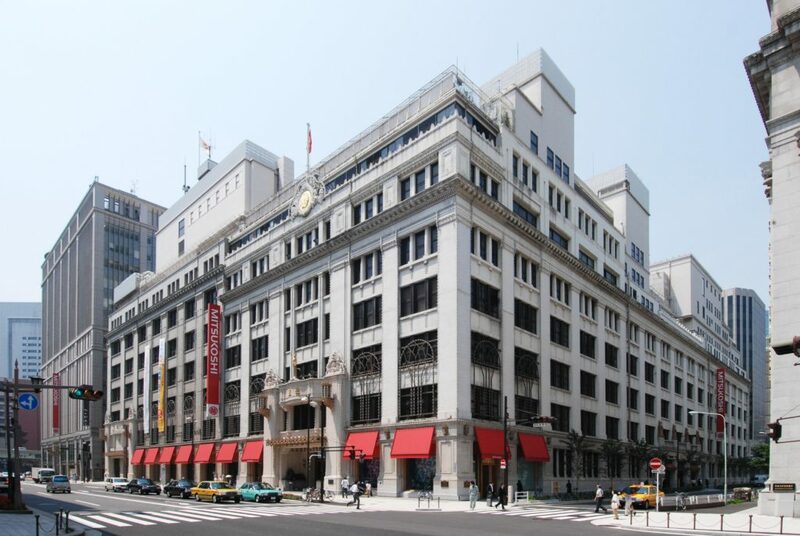 The place is Nihombashi Mitsukoshi Main Store, Japan’s first and most iconic department store which has since 1907 displayed arts of all kinds to the public at its galleries — mostly for free. Nihombashi Mitsukoshi Main Store’s Art Gallery is located on the 6th floor of the store’s main building. As if foreseeing the future, the historical store — whose roots go back to 17th century Edo Period Japan — launched its art gallery just three years after the official declaration of Mitsukoshi Nihombashi Main Store as Japan’s first department store in 1904, serving not only as a luxury shopping emporium but also as a center of Japanese cultural promotion. 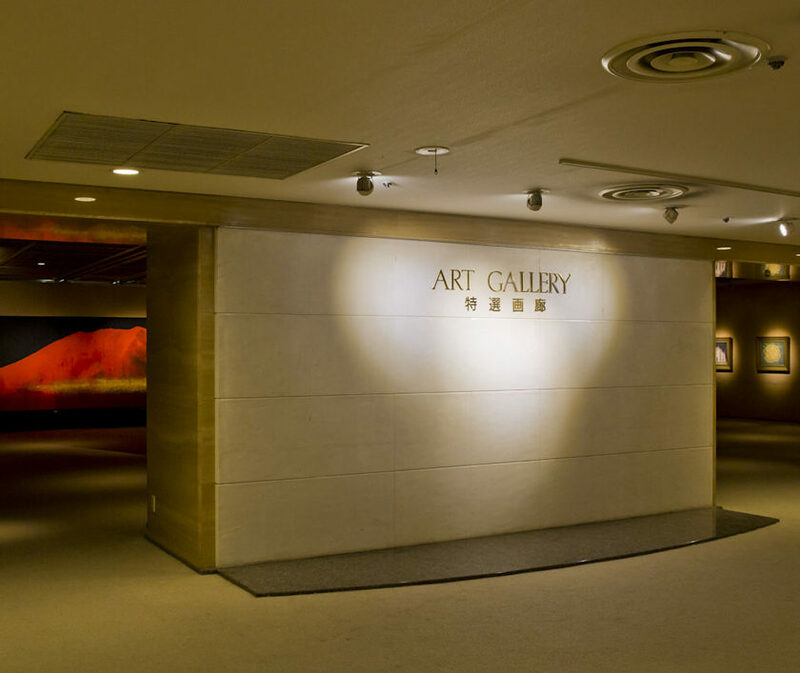 This involved the establishment of its Fine Arts Floor (currently the 6th floor of the Main Building), which now includes expansive art galleries, a historic theater, a refined tea ceremony goods store, a kogei crafts exhibition space and even a frame gallery, where visitors can have a favorite painting reframed under the guidance of professional staff. Mitsukoshi Nihombashi Main Store’s Art Gallery organizes an average of 200 rotating free exhibitions per year. The idea behind the creation of this floor is simple: art is not a luxury but a natural part of our daily life and anyone should have equal access to it. Today, Mitsukoshi Nihombashi Main Store’s Art Gallery organizes an average of 200 rotating free exhibitions per year, each lasting for about a week and focusing on works of renowned Living National Treasures to modern artists. The gallery is also a welcoming place for regular art talks and workshops by the artists themselves. Nihombashi Mitsukoshi Main Store was also the first department store to display price tags on all its products (before that the custom in Edo era Japan used to be based on bargaining) and a see-and-buy system that has continued to date, allowing gallery visitors to purchase art they fancy on the spot. 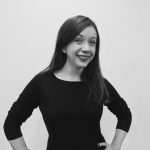 In other words, art here is always accessible (there isn’t an entrance fee, complicated advance ticket purchasing system or strict museum rules) and approachable — as it should be. Starting from November 21 for six days, Mitsukoshi Nihombashi Main Store’s Art Gallery will be featuring around 20 of the works of Yu-ichi Inoue (1916-1985), a celebrated Japanese calligraphy artist, who is arguably better known overseas than in Japan. Inoue has been compared to America’s Franz Kline and Robert Motherwell, as well as Belgian-born France-raised Henri Michaux, artists known for stroke design and letter paintings, typically done in monochrome colors on ink and paper. Inoue’s famous work Dream (1966) also became the hit of the month in October 2017 when it was sold for a record HK$1.5 million (US$192,060) at the Contemporary Ink Art: Confluence auction held by Sotheby’s Hong Kong. He is also popular in Europe, where a rare exhibition “Yu-ichi Inoue: La calligraphie libérée” dedicated to his lifetime art, is currently on display at France’s Musée Toulouse-Lautrec. The Nihombashi Mitsukoshi Main Store exhibition, in addition to commemorating Inoue’s increasing recognition abroad, puts the spotlight on a type of art that crosses borders of language, cultures and ethnicity: as Inoue himself used the kanji to unleash his inner feelings, so viewers are welcome to embrace the unknown and interpret it in their own way. Ahead of Tokyo 2020, Inoue’s self-interpretable art is, perhaps, more timely than ever. The exhibition runs from Wed, Nov.21 through Mon, Nov. 26 (free admission). 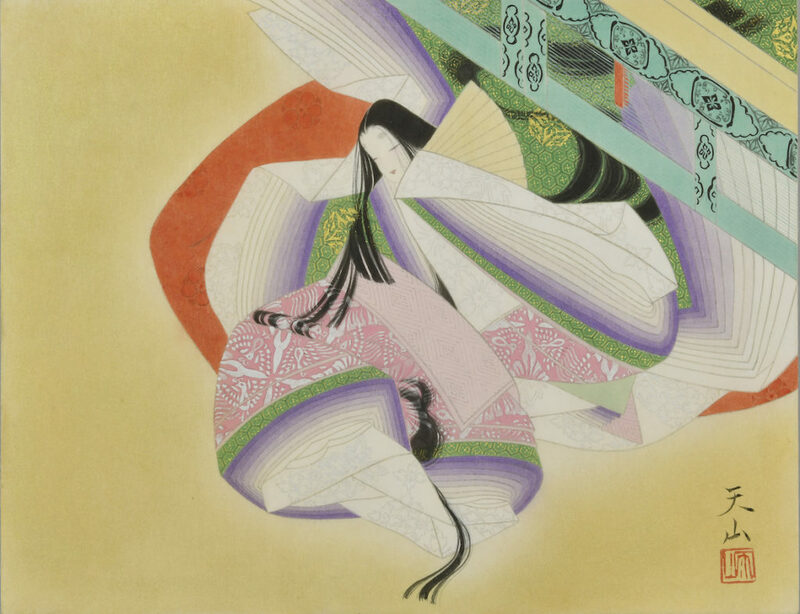 Though there’s always something interesting to spot at the Art Gallery, the following upcoming free exhibitions are worth seeing if you’re interested in or want to catch up on your Japanese art knowledge. This exhibition of around 50 massive and smaller Japanese scroll paintings by painter Tenzan Takahashi focus on two words: “ahare” and “okashi,” terms used to depict a complex mix of feelings typical in classical Japanese literature and art. Dates: Wed, Dec. 5-Mon, Dec. 10, 2018. Free entrance. 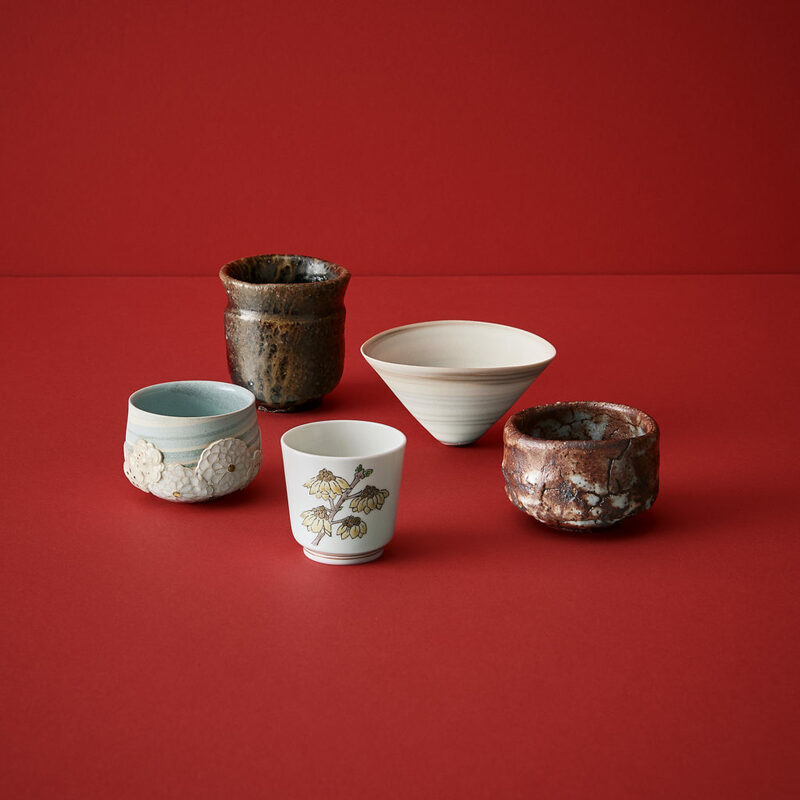 Mitsukoshi Nihombashi Main Store Art Gallery’s annual end-of-year exhibition of sake cups. The display features approximately 500 handmade sake cups made by about 100 Japanese artists from across Japan, including artists designated as Living National Treasures. All cups are also available for purchase. Dates: Wed, Dec. 19-Mon, Dec. 24, 2018. Free entrance. 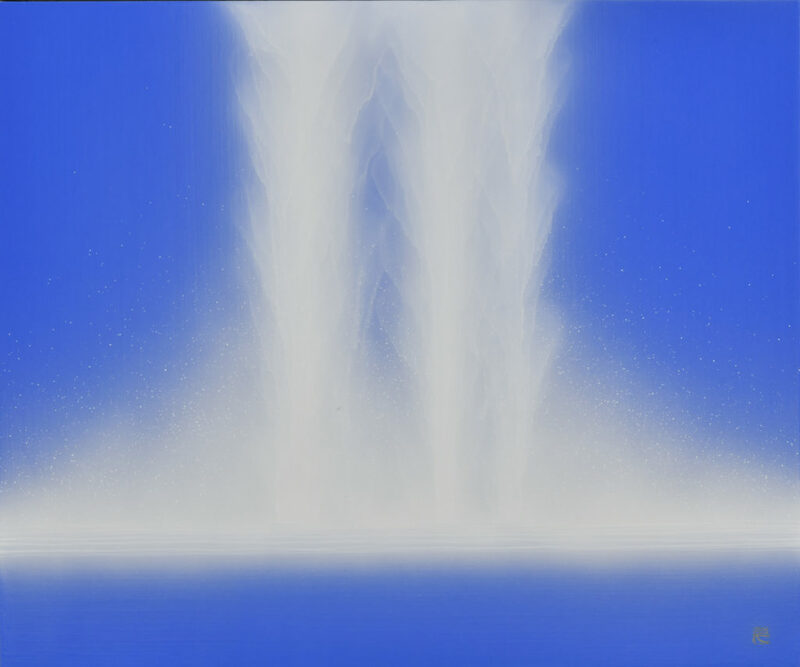 The latest exhibition of New York-based Nihonga (Japanese traditional paintings) artist Hiroshi Senju, known for his large-scale waterfall paintings. Dates: Wed, Feb 6-Mon, Feb. 18, 2019. Free entrance. For this and much more, head over to Nihombashi Mitsukoshi Main Store. With its recent major revamp this October, the department store is worth visiting more than ever, and yet, its core policy of serving the public with everything they need — food, clothes, and culture, as the very basic three — is something that hasn’t changed throughout the years. And its art on display doesn’t need a pre-booking or ticketing. It’s always there, waiting for you. For more information on upcoming exhibitions, see the schedule of Nihombashi Mitsukoshi Main Store’s official; website here. Over 100 years of serving as a luxury shopping emporium and a center of Japanese cultural promotion.